The landscape metaphor has been extended beyond physical representation to enable the everyday experience of occupation to be as if it were in a landscape. 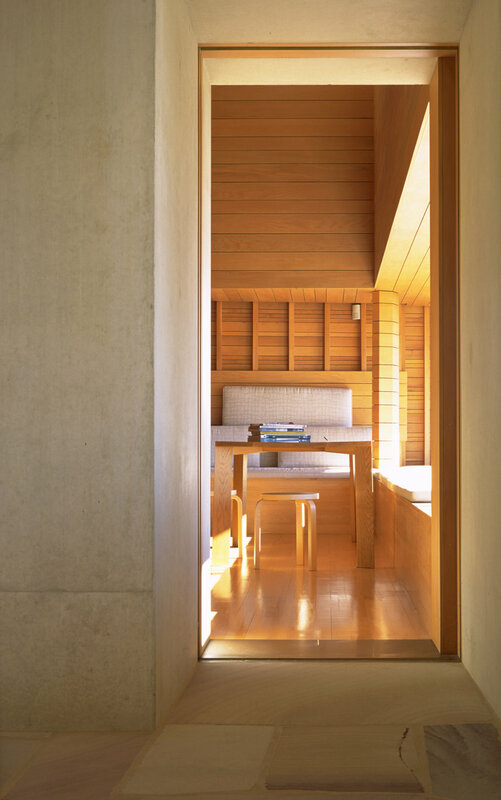 This experience is reinforced by the handling of light, which emphasises changing conditions during the day and year - contributing to the house’s varying atmospheres. A set of private rooms are gathered around, under and above the ‘public’ or ‘memorable’ space of the site - a large outdoor room. The house anticipates future generations by offering an adaptable planning scheme. The household might be a single family, shared singles/couples, extended family or home office.